Dan Brown's staggering bestseller, The Da Vinci Code has sold over 80 million copies since it was released in 2003. Expediently classified as a work of fiction, Brown nevertheless intimates that his book is about historical fact and about a conspiracy by mainstream Christian leaders to suppress the truth about the origins of the faith, its development over the centuries, and its central figure...the Galilean Jesus Christ! Everything the world has been taught about Christianity, Brown claims, is based on falsehood. Numerous responses, many of them incisive and persuasive, have been produced to challenge Dan Brown's historically inaccurate and nonsensically speculative endeavors at maligning the greatest religious system the world has ever known. The Da Vinci Code Revisited comprehensively debunks The Da Vinci Code farce. 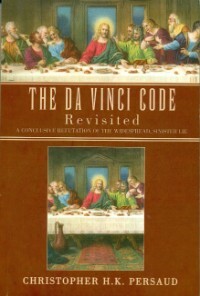 Unlike other undertakings to refute Dan Brown's misrepresentations and outright lies, however, The Da Vinci Code Revisited, in addition to addressing Brown's preposterous claims head-on, counters his arguments with an insightful presentation of the Christian Gospel. The result is not only the availability of an antidote for The Da Vinci Code's corrosive ideology, but an invitation to the reader to contemplate the incontrovertibly truthful teachings of the Holy Bible and its sure message of salvation for lost mankind. If the warped conceptualizations and despicable lies peddled in Dan Brown's The Da Vinci Code have been promoted once, they have been promoted once too often! That fact that over 80 million copies of Brown's book have been sold attests to the painful realization that the toxicant ideas advanced by this shameless excuse for a religious historian have been imposed upon very many credulous and uninformed people around the world. You owe it to yourself to read The Da Vinci Code Revisited: A Conclusive Refutation of the Widespread, Sinister Lie! 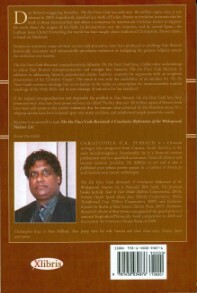 Order your copy of The Da Vinci Code Revisited from www.Xlibris.com/Bookstore, www.barnesandnoble.com or www.amazon.com. You may also visit your local bookstore. Please go the HOME page for author contact information and to see URLs of the author's other websites.